The only thing we here at This Week’s Look adore more than vintage hats is a vintage hat sale. Poppycock Vintage on etsy is currently testing our post-holiday spending willpower with a fantastic sale through December 31. They have an incredible selection of vintage chapeaux, so reasonably priced, we may have no choice but to pawn all of the Christmas presents we received in order to buy them all. This week, we have assembled for you a selection of our favorites from Poppycock’s etsy storefront, all on sale right now. Click on each image below to see the individual listing, and follow Poppycock on Facebook for regular sale announcements. This week we were lured from the usual vintage scene, enticed by some serious spring deals over at shopbop.com. Use the promo code INTHEFAMILY20 at checkout to get 20% off through April 18. Shopbop also offers free 3-day shipping and returns with no minimum order. Below are some of our favorite spring-inspired looks as seen on shopbop this week. 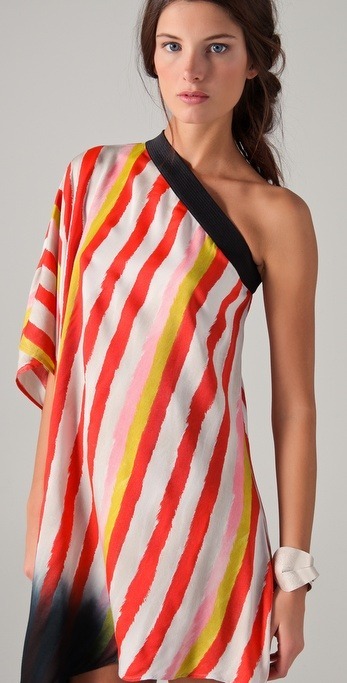 Striped silk Tory Burch blouse with removable neck tie. Crepe dress with draped cowl overlay by Rachel Roy. Rachel Roy cropped yellow suit slacks. A.L.C. viscose and silk wrap dress. Cosabella sheer stretch-lace boy shorts with scalloped edges. Comes in four spring colors. Halston Heritage accordion pleated dress. 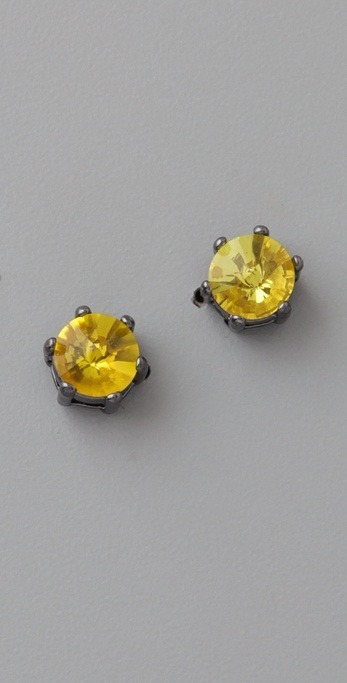 Gemma inverted facet citrine studs by Marc Jacobs. Sass and Bide one shoulder dress. Ribbed jersey maxi dress by Rachel Pally. 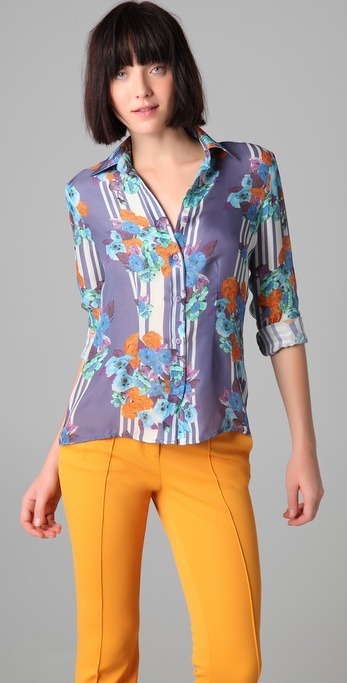 Tucker slim fit silk blouse. 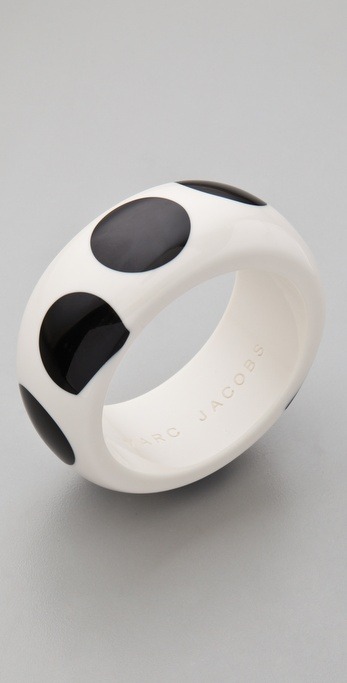 Marc Jacobs hot dot bangle.